Who? What? When? Where? Why? And don’t forget How! 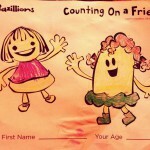 Call on these helpful friends anytime you’ve got a story to tell. Discover the wide open world of adjectives with The Bazillions! One of the most exciting – and anxious – times in a young person’s life is the start of the school year. This fall, The Bazillions provide young students with a soundtrack to carry them through the school year: Rock-n-Roll Yearbook, available now! Get yours in our store! 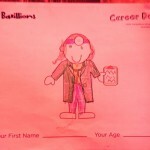 Learn all about the magic of personification as you sing along with The Bazillions! ‘Round and ’round it goes! Learn about the precipitation, accumulation, evaporation, and condensation that makes water — our planet’s most precious resource — go! ON THE BRIGHT SIDE is here! Our third release defines the word “bright” on multiple levels, ranging from wacky and hopeful songs describing the life of an elementary school age child to songs that explore the intricacies of grammar. Now dive in, dance along and have some fun! Hey there’s Q and his best friend U! 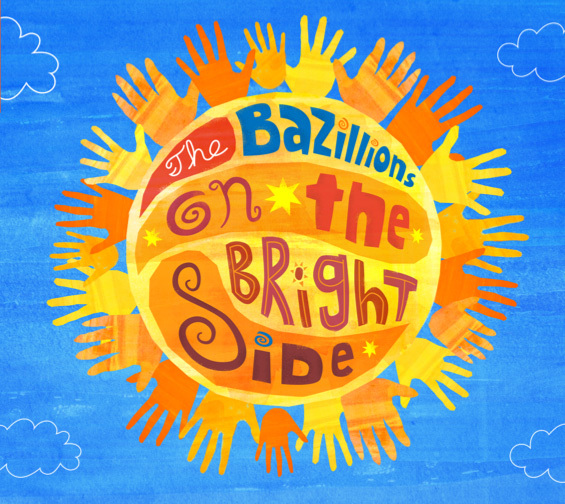 Follow these best buds on a spelling and reading sing-along with The Bazillions! ON THE BRIGHT SIDE coming July17! On The Bright Side defines the word “bright” on multiple levels, ranging from wacky and hopeful songs describing the life of an elementary school age child to songs that explore the intricacies of grammar. 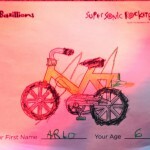 Moving adroitly from topics like what superheroes do in their spare time to the “best friend” letters Q and U, The Bazillions show influences from The Beatles, The Hollies, Big Star, Fleetwood Mac, and other masters of the world of pop music. Their songs are essentially story-based. Even the “educational” songs succeed in presenting narratives and painting pictures for listeners to visualize as they hum along. Get your copy today at any Bazillions live show, or pick up a copy online and in stores July 17th! Rockin’ Video Collection DVD on Amazon! You can now pick up your copy of The Bazillions Rockin’ Video Collection on Amazon.com! The Bazillions on The Friday Zone! We’re very excited to be one of many fantastic educational artists featured on a great new web site from across the pond called Highbrow. Please make the time to check it out and consider subscribing! 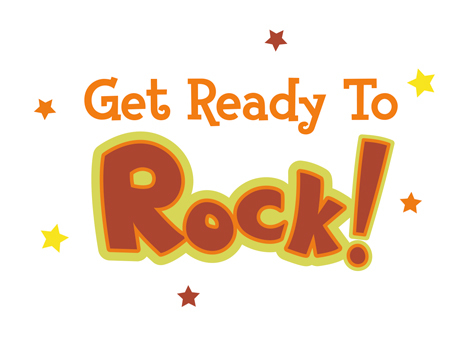 Get ready to rock! These videos have received nearly 1.5 million YouTube views in homes and classrooms around the world, and now you can own the complete collection ad free! DVD features optional English subtitles for reading and language learning. Makes a great gift for kids, families, and teachers everywhere! Thanks to our Kickstarter backers for supporting and starring in this video! No Homework! Bazillions on BatteryPOP! Go get popping! We’re thrilled to announce that our videos are now available for viewing on BatteryPOP! a great new place to watch videos just for kids and families, absolutely FREE! Here’s how it works — to support a video or artist, all you need to do is create an account (which is actually pretty fun — they have all sorts of cool nicknames and avatars to choose), go to your favorite video and POP IT! We’re counting on you, Bazillions fans! Go get popping! Bazillions on Storyboxfamily.com ad free! If you’re looking for ad-free family entertainment, check out https://storyboxfamily.com/. 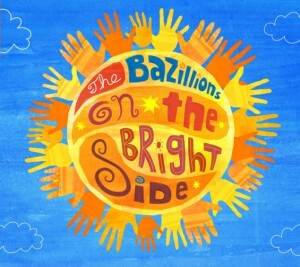 The subscription-based web site features a wide range of family-friendly content, including the music videos of The Bazillions! One more video to go in the Kickstarter-backed Rockin’ Video Collection! Sing along with Maybelline Scalene, Eloise Isosceles, and Daffodil Equilateral as you learn all about the wide world of triangles! Can you hear what fits before the root of the word? After the root of the word? Learn your Prefixes and Suffixes with The Bazillions! Check them out here on Facebook! Live @ Icehouse April 5th! Catch The Bazillions LIVE Saturday April 5th 11AM at Icehouse in Minneapolis, part of the Kids’ Concert Series hosted by 89.3 The Current. Get the details here! Silent e holds the key that guarantees so much for us to see! 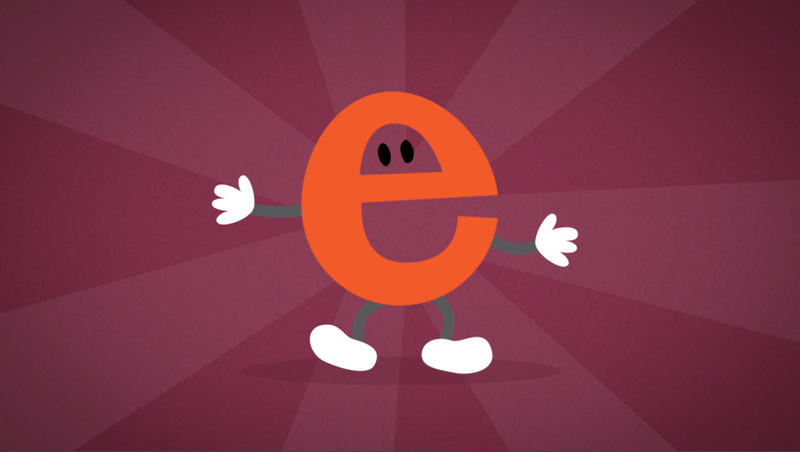 Watch and learn just a few of the hundreds of words that are possible thanks to Silent e! “Silent e” premieres this Sunday! We are thrilled to announce the debut of “Silent e” — the first of our new Kickstarter-funded videos — this Sunday January 26th! We will also premiere the video live as part of PBS Kids Writers Contest kickoff at Mall of America, 1PM Sunday. Get the details here! Heads or Tales is a 2013 Parents’ Choice Award Winner! The Bazillions are thrilled to announce that Heads or Tales has been designated a 2013 Parents’ Choice Award winner! FUNDED!!! Going for stretch goal of $12,500 for FIVE VIDEOS! Announcing The Bazillions Rockin’ Video Collection Kickstarter Campaign! We’ve got lots of great rewards lined up, including stickers, digital downloads, and the chance to be in a Bazillions video! With your support, we can bring four new videos to kids and classrooms all over the world. Let’s make learning rock! Bazillions Roku Channel Now Available Worldwide! The Bazillions at Rhythm & Words (this Saturday, June 8) makes Maja’s picks on The Daily Juggle. Check out the full story here, and get details on the show on our shows page. “Similes and Metaphors” now on ROKU! Metaphor Man and Simile Girl are here to save the day! These heroes make learning your similes and metaphors as easy as pie. Reviews of “Heads or Tales”! Heads or Tales on iTunes! Heads or Tales is now for sale on iTunes! Click here to get yours now. Heads or Tales is now available on CD Baby. CD Baby also allows you to preview all of the tracks on the album. Enjoy! It’s here! We are thrilled to present our new album Heads or Tales, full of great new tunes to get you singing, dancing, learning, and rocking! Head on over to our music section and give it a listen! Bazillions on Jitterbug iPad App! The Bazillions join several other great kindie acts on the new iPad app from Jitterbug TV…check it out! “Preposition” clears 100K YouTube views! Hopefully we’ve made the world a slightly more grammatically correct place. Thanks for watching! Check out the artwork from The Beat Coffeehouse!